Preliminary estimates indicate the successful Asian Attractions Expo (AAE) 2017 in Singapore attracted more than 7,500 participants, including 5,100 qualified buyers and 375 exhibiting companies. 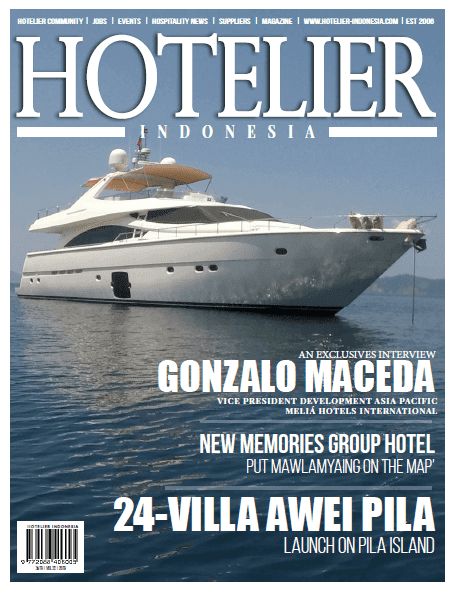 The continued growth of the attractions industry within the Asia-Pacific region was evident at the Expo. More than 50 percent of buyers attended AAE for the first time. Participation in education sessions nearly doubled from 2016 and the event featured the second largest trade show floor in event history at 10,170 net square meters. Asian Attractions Expo, which is produced by the International Association of Amusement Parks and Attractions (IAAPA), took place at the Sands Expo and Convention Center at Marina Bay Sands, 13 – 16 June 2017. The total number of owners, executives, managers, and leaders in attendance from theme parks, water parks, family entertainment centers, zoos, aquariums, museums, science centers, and resorts represents a 42 percent increase over AAE 2013 when the event was last held in Singapore. Asian Attractions Expo draws an international audience as it moves around Asia, and show participation is largely reflective of the strength and diversity of the regional industry. AAE 2018 will be held at the Hong Kong Exhibition and Convention Center in Hong Kong. IAAPA was honored to host Ms. Low Yen Ling, Singapore's senior parliamentary secretary, ministry of trade and industry, and ministry of education at Asian Attractions Expo 2017. She addressed a full house during the Expo's Opening Ceremony and then attended two press events on the trade show floor, including an announcement related to Science Center Singapore, and talked with several other exhibiting companies during her visit. 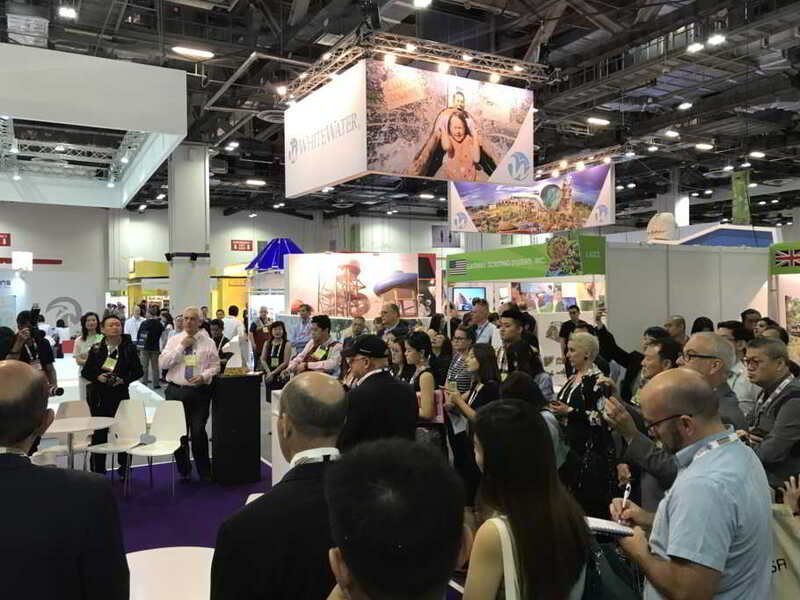 "The excitement this week was felt throughout the show floor, the education sessions, and the events as participants gathered at Asian Attractions Expo – the premier place in the Asia-Pacific region where industry executives exchange ideas and experience innovations," said IAAPA President and CEO, Paul Noland. l 375 companies from 34 countries displayed new and innovative products across 10,170 net square meters of space on the trade show floor. 5,100 qualified buyers met with industry suppliers, attended education sessions, and participated in networking events to find new ideas and learn about important trends in the industry. Attendance for the education conference was approximately 1,700, including 50 participants for the sold-out IAAPA Institute for Attractions Managers and 90 attendees at the sold-out IAAPA Safety Institute. 600 people participated in the sold-out Opening Night Reception at Universal Studios Singapore. 280 people attended the Leadership Breakfast, which featured a keynote address from Andrew Kam, vice president, Wanda Cultural Industry Group and president, Wanda Themed Entertainment. Nearly 100 people attended the new Lunch and Learn event on using intellectual properties and maintaining show quality. Approximately 90 people participated in the EDUTour to Singapore Zoo and 70 people participated in the EDUTour to Mega Adventure. Asian Attractions Expo 2017 sponsors included: accesso, Huss Park Attractions, JRA, Kraftwerk Living Technologies, PGAV Destinations, Pictureworks, ProSlide Technology, Wartsila North America, and WhiteWater. Asian Attractions Expo 2018 will be held in Hong Kong at the Hong Kong Exhibition and Convention Centre, 5-8 June, and advance exhibit sales are strong as more than 200 companies have already reserved over 7,500 net square meters of space. Exhibitor information on the 2018 event is available on the IAAPA website. More detailed information on AAE 2018 will be available in late 2017. "As the industry in Asia continues to grow, we see a lot of new faces coming to Asian Attractions Expo. These new attendees are very engaged and eager to learn from the industry and the association. Education has been fantastic and extremely popular. The desire for industry knowledge continues to grow in this area." "We've had a great couple days. Traffic here has been exceptional. Our booth has been busy all the time. People are coming to speak to us about real projects, showing us photos of actual land with construction going on, they're not just kicking the tires." "Asian Attractions Expo has been tremendous in Singapore this year. People from all over the Asia-Pacific region coming together, sharing their ideas with each other, and taking ideas back to make their businesses better, in a beautiful setting like Singapore—I've heard it's just been fantastic from everyone I've talked to." "This show highlights the amazing growth and opportunities for our industry in Asia." "It's been an exciting week. The education sessions have been quite exciting. The panel I saw just now about redefining attractions was full of powerhouses in the industry, especially here in Asia. It's great because it's really relevant to have people who have been in the business for many years from across the industry, but have very relevant experience here in Asia." Michael Turner, ICAE, Neptune-Benson Inc.
"This year's Asian Attractions Expo was fantastic and the trade show floor was very busy. I expected to see more buyers from Southeast Asia and more Australians, but we've seen more Chinese buyers than expected. We brought our staff from Shanghai and Beijing. Both were busy all day. We were pleasantly surprised by that." "It has been a really good decision to come here, because of the amount of contacts and interest that our booth has generated with visitors to this exhibition."